Following the success of the HTC One, HTC releases a smaller version: One Mini. It carries similar design elements as the bigger brother, but with a less polished aluminium finishing and a thick plastic frame. The HTC One Mini feels light, easy on the hand, and appears to be more durable due to the plastic frame. The front aluminium speaker panels feel slightly rough and not as polished as the bigger HTC One. 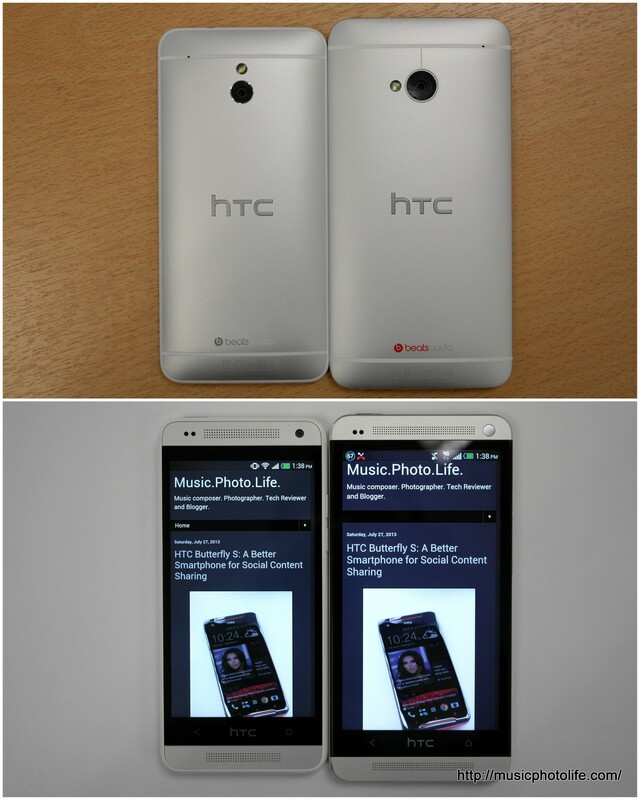 The HTC One Mini exhibits a warmer off-white tone compared to HTC One. Otherwise, the screens both appear with similar contrast and sharpness with the naked eye, even though the HTC One Mini screen resolution is a lowly 1280×768. HTC One Mini does not have NFC and IR Remote features. And certainly the Mini does not carry as much hardware juice as the HTC One – 1.4GHz dual-core vs. 1.7GHz quad-core. The system RAM is also lesser – 1GB vs. 2GB. All these do impact the overall performance: the Mini does not feel as smooth and responsive as the HTC One. But otherwise, the software features are similar. For consumers who like the HTC One look and feel but prefer a price-friendly alternative, the HTC One Mini will please. HTC’s recent smartphone models provide positive user experiences that are unique and unmatched – the stereo front-facing speakers that lets you enjoy loud and clear audio, the HTC BlinkFeed that delivers news feed conveniently, the HTC Zoe that creates professional-looking video montages at an instant.